L.J. Aviation’s headquarters location offers a wonderful location and a family-oriented atmosphere to prospective employees. L.J. Aviation is a customer oriented highly successful enterprise offering a wide range of business aviation related services. Our employees represent a variety of aviation-related occupations: Pilots, Line Maintenance Personnel, A&P Technicians, Maintenance and Quality Control Professionals, Customer Service Representatives and Schedulers to name a few. The company currently operates a fleet of thirty (30) aircraft ranging in size from the Boeing Business Jet, Gulfstream, Falcon and Bombardier Global Express aircraft to smaller Cessna, Bombardier and Beechcraft products. 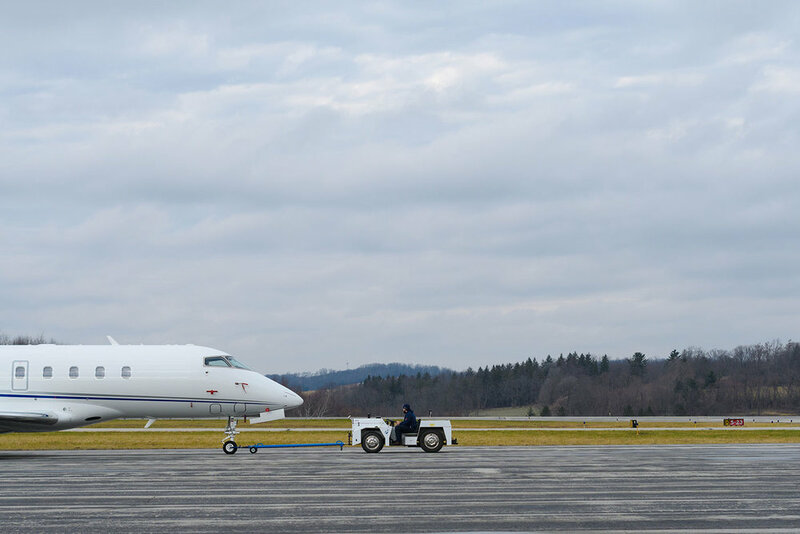 Located in the beautiful Laurel Highlands of Western Pennsylvania, our headquarters at Arnold Palmer Airport in Latrobe, PA is only 15 minutes west of the historic Ligonier Valley and less than one hour east of downtown Pittsburgh. L.J. Aviation’s headquarters location offers a wonderful location and a family-oriented atmosphere to prospective employees. In addition L.J. Aviation offers potential employees employment at satellite bases in Bedford, MA; Marshfield, WI; Rochester, NY; Pontiac, MI; and at Greater Pittsburgh International. L.J. Aviation is a financially successful, growing company that has maintained profitability for over 35+ consecutive years. L.J. Aviation is always looking for highly motivated, qualified individuals to join our team of aviation professionals. We offer competitive salaries, hiring bonuses commensurate to experience as well as fully-funded pension plans and health benefits. For more information or employment consideration, please submit your resume to L.J. Aviation Human Resources at hr@ljaviation.com.